A couple of weeks ago, I took Emily to go see Annie Jr. She LOVES musicals, especially Annie, and so we made plans to go together as a mommy-daughter date. I knew she would love it. We walked in and sat down in the front row, and got ready for the show to start. Emmy read every single word in the program before the lights went down and the musical began. It only took about 7 minutes before what I was watching sent tears streaming down my face. If you don’t know the story (though I’m sure you do), let me just give you a little background for a second. Annie is an orphan, living in an orphanage for girls run by a mean, harsh woman names Miss Hannigan. One of the first songs the orphans sing is called “It’s A Hard Knock Life”, and it’s literally about how mean Miss Hannigan is, how much she yells and how poorly she treats them. When Miss Hannigan walked out & started talking to the girls, I legitimately started crying in that tiny little theater. Watching Annie Jr. with my six year old. Because even though Miss Hannigan’s character is extreme & exaggerated, I saw myself in her. I heard the things she was saying to those girls, and realized I’d said some of those things to my own children. I heard her tone of voice and recognized it in my own, so many times. I watched her impatience and irritation and knew that I’d been guilty of the same exact thing. Only my life is not a musical, nor is it make-believe. It’s real, and my kids are real, and my struggle with my temper is a real problem. Honestly, I never ever thought I had an anger problem before I had kids. And I didn’t! Life worked because I was really just in charge of myself, and I could handle that. But these kiddos, they require so much of me. They show me the worst parts of myself, just by existing! Just by living with me on a daily basis. Just by asking their questions and taking forever to do the “simplest” things. Just by being their own little people. I love them. With all of my heart, I love them. But I don’t love them perfectly. And it took a silly musical, with an exaggerated character, to show me that something in my home desperately needed to change. Because my kids need a mom, not a Miss Hannigan. I do not have any fabulous solutions at this point, other than turning to Scripture again and again to get my exhausted, restless, overwhelmed heart back under His control. 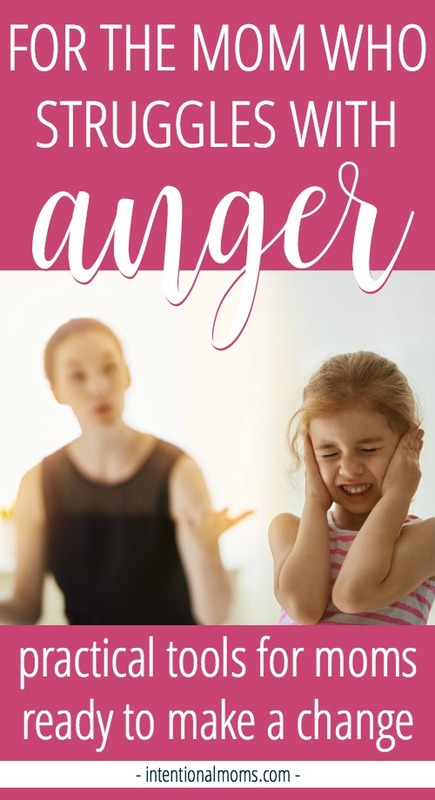 Maybe you’re not a mom who struggles with anger. If not, then I applaud you, my friend. Yay for you! I’m diving into my She Reads Truth Bible each day, and am so grateful for the pure Word of God and the devotions in there. I’m writing out verses that remind me of TRUTH (and how to bite my tongue) and allow God to change my heart. 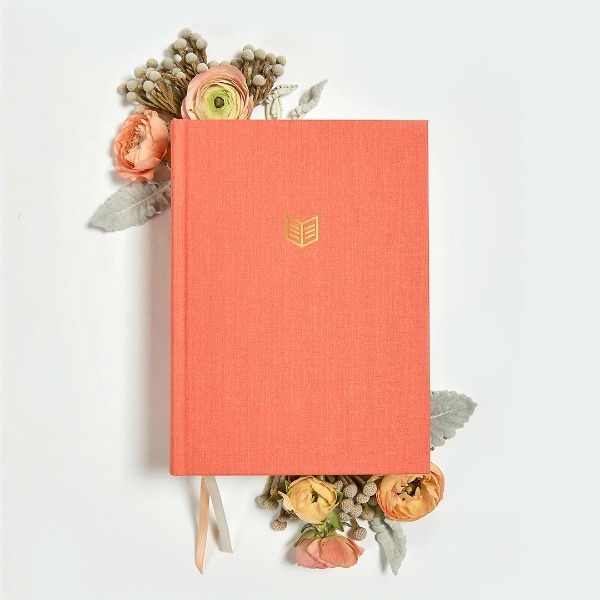 I’m also using my Gratitude themed Write The Word Journal to help remind myself of all God’s Word says about being grateful (instead of angry and bitter, you know?). I tell you what, taking a few minutes while I’m driving, or folding laundry, or doing dishes to just fully listen to someone else speak truth to me does WONDERS for my attitude. 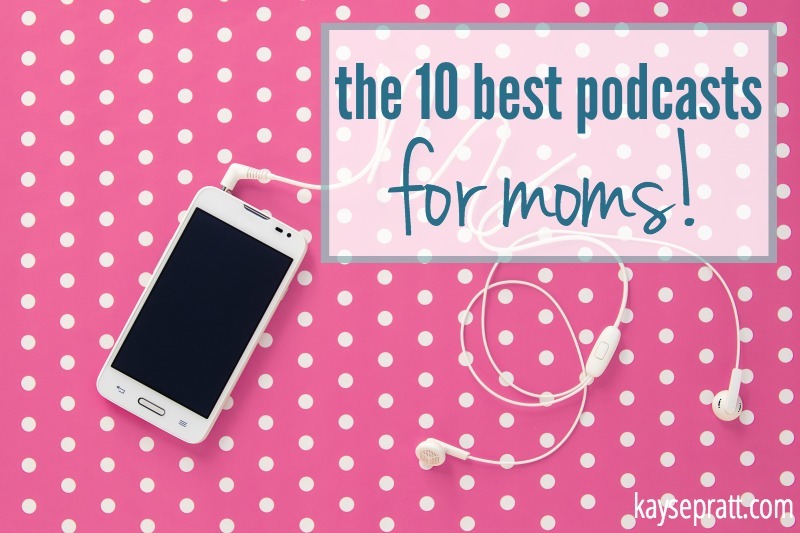 My favorite podcast for motherly wisdom is Sally Clarkson’s podcast, but I also really love a few others. These can just be so encouraging & help me to remember WHY my words and attitude matter, and how important the state of my heart is when it comes to mothering my kids. Check out my very favorite podcasts here. Mommas, we do NOT have to give in to the anger that’s shown up in our lives since we gave birth to our precious, loud & crazy children. With the help of God’s Word, and a few great resources, we can change our families. Here we go, angry, exhausted mommas. Together, arms linked and minds set on peaceful homes and hearts. Let’s do this. How do you battle the anger in your home? Share in the comments below! « It’s our favorite resource of the year!! The Ultimate Homemaking Bundle is HERE! Anger has been a struggle of mine ever since our second child was born. I recently read a short ebook titled “Losing It: A Christian Parent’s Guide to Overcoming Anger” and it has truly made an impact. I now understand different aspects about anger and about idols or ruling desires of my heart and how they lead to my anger. I highly highly recommend it! It helped me see the root of my anger and equipped me to overcoming it by memorizing a Bible verse to say in times I feel anger rising as well as understanding what my ruling desires tend to be and how to overcome them by turning back to God. My life is changed. My 3-year-old is testing his boundaries big time right now, and I struggle with anger daily. The biggest thing that has helped me is figuring out my “triggers” and finding ways to avoid them. For example, getting ready for work in the morning can really put me on edge, especially when my preschooler drags his feet. Realizing that my anger always seemed to come out when we were running behind made me see that the problem wasn’t so much him or me; it was our morning routine. Once I recognized the real problem, I could actually take steps toward a solution. That’s just one example, but identifying triggers has been huge for me! I struggle with anger too (and I thought I was patient until I had a child). I actually made a list of things that help me here: http://www.oneimperfectmom.com/keep-your-cool/ My favorites are prayer, going outside, and essential oils. I don’t always have a problem with anger, but I do find I’m quick to it during certain times (usually related to my monthly cycle!). I hate myself and those angry words that come out at that time. The biggest strategy that works for me is to walk away from the situation, give myself 5-10 minutes and then go back. If I’ve said hurtful words then I apologise to my children and try to make things good with them, I find they are far more forgiving and forgetful long after I’m still beating myself up. I used to have a strong faith with God but have since found that this has dwindled away with the way my path has taken me in my life. I don’t find faith based podcasts help me but I do like listening to other parents who have the same struggles as me. Danna thank you for being transparent and sharing your heart. I don’t know what you have been through that has caused your faith in GOD to dwindle but I just felt like I needed to reach out to you and tell you don’t give up, because HE hasn’t forgotten about you and HE still loves you unconditionally more than you know. He’s just waiting for you to come back home and that’s all HE wants from you. HE just wants your heart. Anyway know that you are truly loved and if you need to talk about anything without judgement, feel free to reach out to me. I appreciate your post. Lately, I have had angry outbursts that I know aren’t me. My relationship with my children is even changing because of these outbursts. I appreciate your emphasis on the word of God and Truth. It helps to awaken what my soul knows, that these little children are so precious in God’s eyes and I want to remember that. I am going to put more emphasis in my scriptural study. Thank you!! I can relate! I hate how I let anger, impatience, fear, insecurity, depression at times, stress, and so many other things cause me to really blow it with my sons and husband. I really want to change. I have reached out for help from a number of different people and resources, but it is still a minute-by-minute, daily struggle. I HAVE to change! Thanks for posting about this and the great resources available. God help us all who struggle with anger!